Mark Nicewicz understands the fear and anxiety that accompany an arrest and the prospect of losing your freedom. 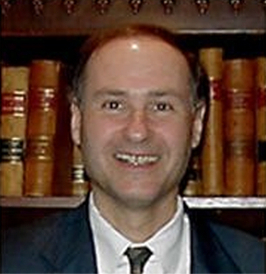 He understands Virginia criminal law and procedure, as well as the importance of protecting the rights of individuals. Mr. Nicewicz became an attorney to help people like you who need guidance. He is a skillful negotiator, a zealous advocate, and an attorney with the integrity to stand up and fight for your rights. When you are represented by Mark Nicewicz, you will receive experienced representation from a lawyer who is innovative and detail-orientated, and who will fight to protect your legal rights. If you have been charged with a crime (i.e. Larceny or a Drug offense) or a serious traffic violation (i.e. DWI or Reckless Driving) in Fairfax County, you need a trusted lawyer that can aggressively represent you in the matter. No matter the legal issue you are facing, don’t face it alone. The criminal law system can be overwhelming; the right legal representation will be needed to obtain the outcome that you are hoping for. Mark Nicewicz, Attorney at Law, an attorney located in Fairfax County, will do his best to formulate a defense to the charge and he will provide you with honest legal representation. He listens to every detail of your case and looks for ways that protects your rights and helps you to get the most desirable outcome. It is important that you have the reliable representation. Contact Mark Nicewicz to schedule a complimentary case evaluation. In today’s legal environment, matching your needs with the correct firm is crucial to the successful outcome of your legal matters. Like so many other areas, in law the pace of change can be “breakneck,” the details overwhelming. As an informed consumer of legal services, you need to be sure that the firm you select is, in fact, qualified to handle the matter at hand. Today, that’s more important than ever. Contact Mark Nicewicz to schedule your first free consultation by calling 703-319-8187. He handles a broad range of criminal and traffic offenses. You can also contact the office online through email. Don’t risk losing your rights by waiting too long to seek help.